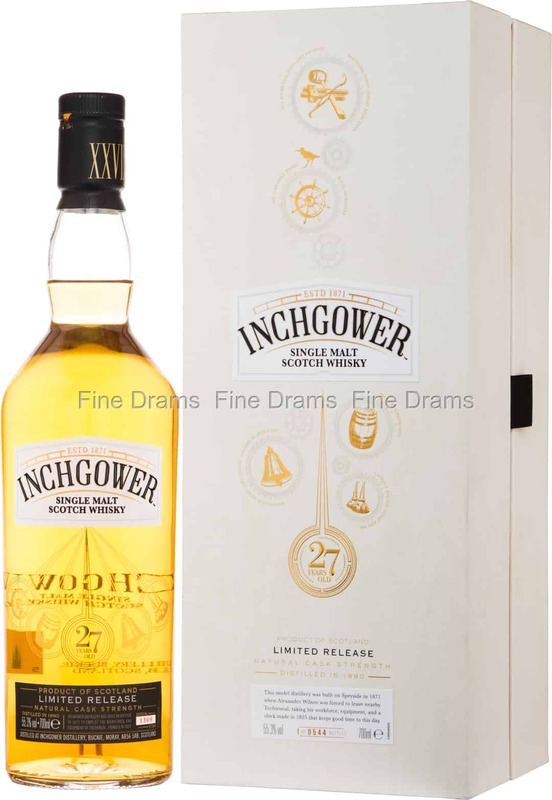 The first ever Inchgower to feature in the Diageo Special releases. Inchgower is a perhaps overlooked distillery, found in the northern extremes of the Speyside region, which produces a spicy, salty and slightly waxy new make – a little reminiscent of Clynelish. This particular bottling has been aged for 27 years in refill American oak Hogsheads, with this less aggressive cask perfectly suited for the long, slow maturation of this dram. The result is a fabulous, well-aged Speysider, packed with notes of orchard fruits, cream, toasted nuts, cracked pepper, pineapple, mango, ginger, old oak, orange rind, clarified butter and nutmeg spice. Bottled at a cask strength of 55.3% and without chill filtration or colouration, this is a deeply creamy and oily dram. A fascinating, unusual whisky that rewards patient drinking. A couple of inches of this will see you right!